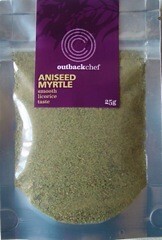 OutbackChef’s Australian Pepperleaf is ground and ready for you to use, a great bushtucker herb that can be used in place of your regular pepper. 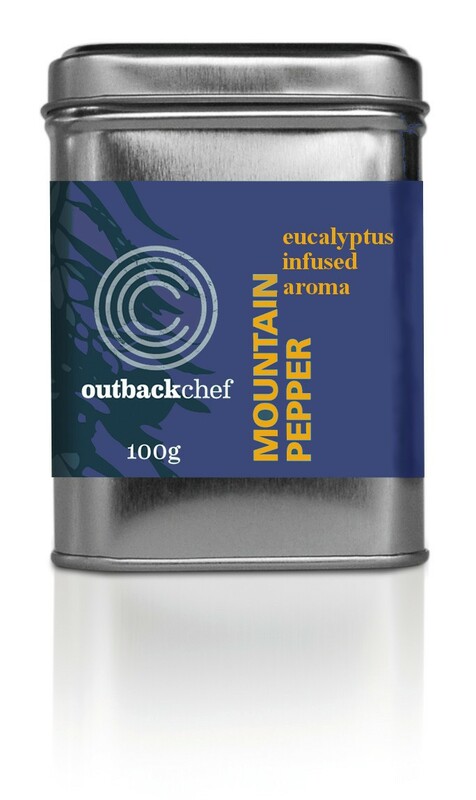 Ground pepperleaf has a wonderful fresh eucalyptus aroma and a subtle peppery taste adding a beautiful taste of Australia to many dishes. 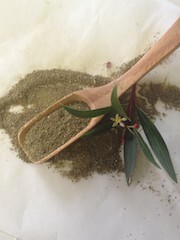 This bushfood herb is an Australian success story, essential oils already being widely produced, studies are underway to validate this food’s bush medicine qualities. The peppery aroma will have you reminiscing about those great camping trips and bush walking tours, or perhaps have you dreaming of the Australian bush that you have not yet been lucky enough to visit. 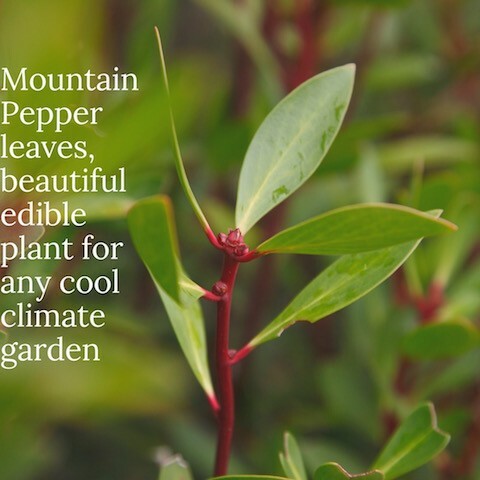 Tasmanian Pepperleaf is the true essence of Australia. 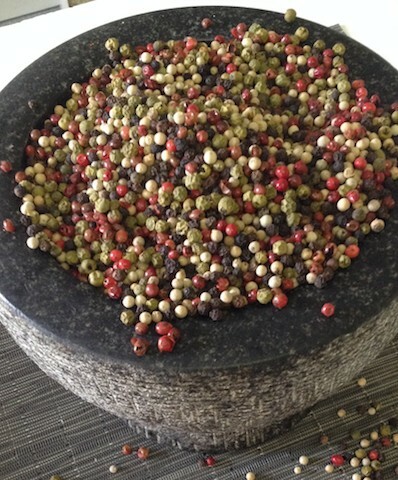 We have dried and ground the Native Mountain Pepper leaves ready for you to cook with. Tasmannia lanceolata is a medium shrub of the rainforest and wet forests of SE Australia. Leaf and berries are collected from approved sites in northern Tasmania and a license fee is paid for all fresh material harvested. The ‘wild crafted’ shrubs are grown without the use of pesticides or artificial fertilisers of any kind. Leaf and short stem pieces are cut from standing foliage and transported to be dried. This is done within 24 hours and dried to approx 93-95% dry matter. Dried leaf is milled in a dedicated stainless steel hammer mill, through which a steady airflow cools the product during mill and ensures a minimum of airborn dust in the work environment. Magnets trap any ferrous particles. The milled product is stored in a darkened dry store room.